This is the standard issue day sporran for all Royal Canadian Mounted Police Bands across Canada. Made of high quality durable smooth and pebbled leather, this sporran is tough enough to stand up to regular use in all types of weather. All hardware used on this sporran is brass as per specifications. 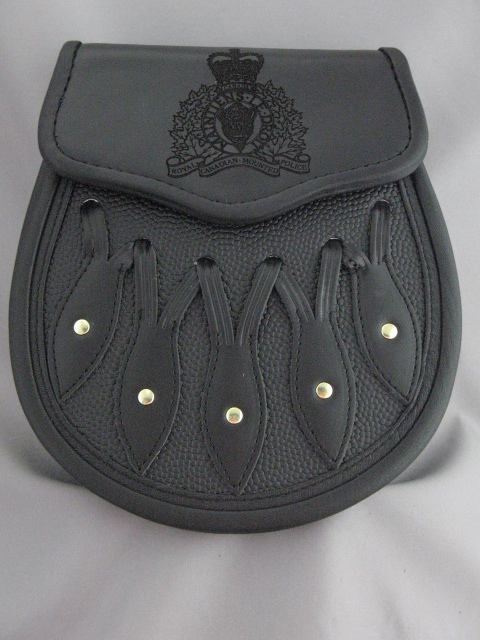 Each sporran comes standard with the Royal Canadian Mounted Police crest lasered into the flap. Note: Written approval from one of the regional bands is required when ordering this item.